After seven seasons of farming, I managed to take a real vacation in the heat of the summer (a real feat for this line of work). But, unable to turn it off, I of course spent it not by ‘getting away from it all’ and leaving the flower and farming world behind, but visiting farms and attending the fabulous Slow Flowers Summer in Seattle. I’d love to share with you guys some highlights from the two sessions that really inspired me to make the trip. The first talk was a keynote from Amy Stewart, author of the fabulous book about the international flower trade, Flower Confidential. It’s been ten years since she published the book and I was so curious to hear her recent reflections. Although she reiterated that she was merely a visitor to our world of flowers rather than a true expert, it’s hard to deny that she immersed herself deep in the industry and shed some much-needed light on it. 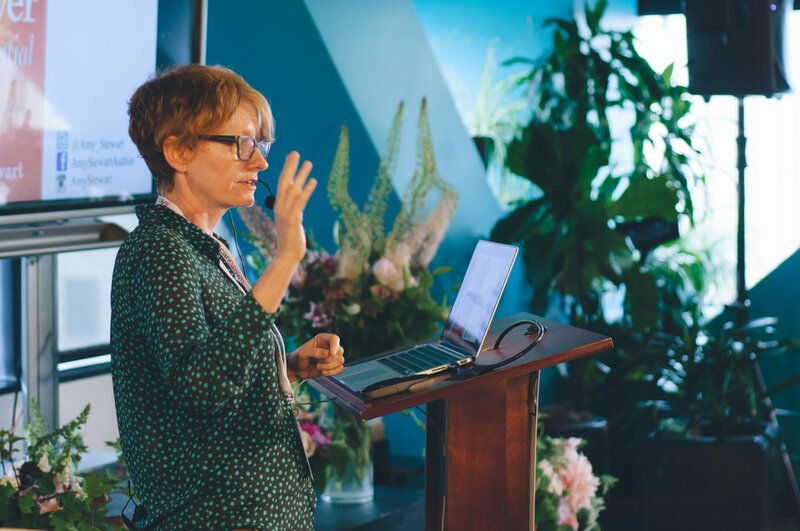 One thing she really wanted to impress upon us during her talk was that her takeaways on the international flower industry are actually more nuanced than they may seem at first glance. Namely, as we navigate the ins and outs of the domestic vs. imported flower industries, it can be easy to forget the jobs and the people behind all this commerce and the dialogue around it. Things become a lot less black and white and yes, more nuanced, when we’re able to remember this. In reaching out to your customers or potential customers, think about the fact that people will remember a story, not facts. Think about people wine tasting and gushing to you about their experience. It’s never “they produce x amount of wine each year on x number of acres” but “...and the wine maker’s son couldn’t pronounce ‘grape’ when he was little so we now all refer to them as ‘apes’” (my made up example). Think about colorful ways to tell your story! Along with stories, people are after experiences. Show them what it’s like to be a flower farmer or a florist for a day. What do customers keep asking you for? Respond to actual customer demand rather than what you think people will want. If you sell $20 bouquets but keep getting asked for $4 posies, it’s time to consider the $4 posey! Where’s the Diversity in Floral Design + Horticulture? 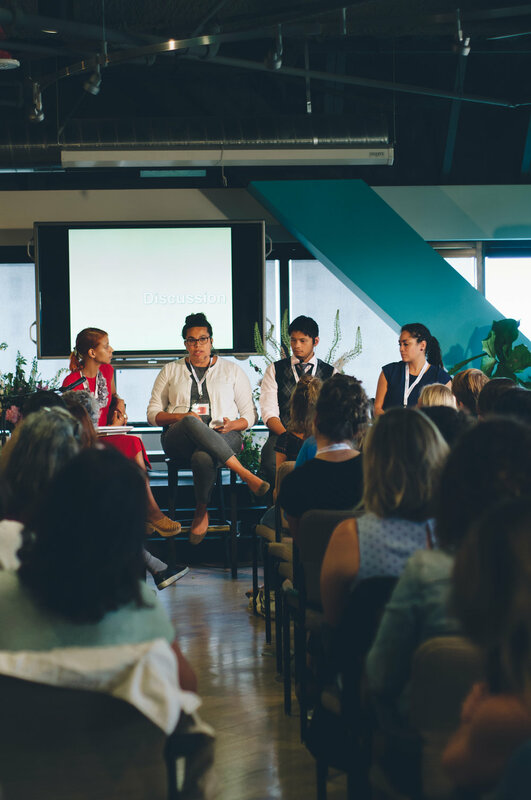 This panel was the first thing that jumped out to me about the Slow Flowers Summit, and felt like a discussion that was a long time coming for our industry. Chantal of The Horticult did a great job moderating the panel and trying to tackle some big issues in a short time frame. With so many talking points to get to, the panel began with questioning the very premise of the theme. They started with the word ‘diversity’ and whether it’s even the word we’re looking for. The consensus was sort of that, no, it’s a word that’s a bit over-appropriated and is, as Leslie (of Pinehouse Edible Gardens) put it, “too tame a goal”. The meat of what we’re looking for is equal representation, a redistribution of power in who has a seat at the table in our industries, along with who sets the trends and takes up visible space. Paraphrasing one panelist: gardening belongs to everyone, so why does it look like it’s only something for white people (in the media, instagram, etc). This really hit home for me as I thought about, on a basic level, the people I follow and am aware of in the flower world. They’re just overwhelmingly white. On that note, I got good tips on some legends to get to know. The panelist went around and each shared a hero, their ‘horticultural icons’. This lack of representation in our leadership is just the surface of some complex and deep-rooted issues in the representation in our field. I’ll move on to a few action items suggested by the panelists, all aiming at the goal of broadening our industry - in terms of representation in the media, in our base customers and potential customers, and in our leadership. Pro-bono work can be really valuable! If you've priced your products or services out of certain markets that you want to serve, devote some time and resources each season to pro-bono projects. “Identify the issue, face it, and start talking about it”. I love this advice. As a white person in a predominantly white field, I sometimes feel at a loss for how to put words to and then work to rectify some of these shortcomings. I’m also aware that people are scared to try to talk about these problems, but how can we improve if we don’t first talk about what’s going on? Leslie pointed out a concrete example, by praising Sue McLeary of Passionflower Events for featuring many people of color in her images. Whether or not this was the distinct intention, you can imagine that Sue noticed a lack of images of people of color out in the flower-land-insta-sphere, and decided to do something about it. Find ways to create opportunities in the field for people of color, urban and underserved communities. Start a class or an after-school program with flowers. Offer one scholarship per class you teach for someone who wouldn’t otherwise know about your class. I found these examples to be helpful not only for being tangible and easy to do, but because they encourage us to think and talk about our community and how we can meaningfully expand it. Personally, I’ve been increasingly shocked and a bit horrified to look around at the business I’ve created, one that serves primarily rich white people. I think it’s important for us to take a look at ourselves and remember that we’re not just passive actors out in the world, that we all in fact play huge roles in setting industry norms and standards. Who else can we get to that table? Post Script: See below - I really was there!